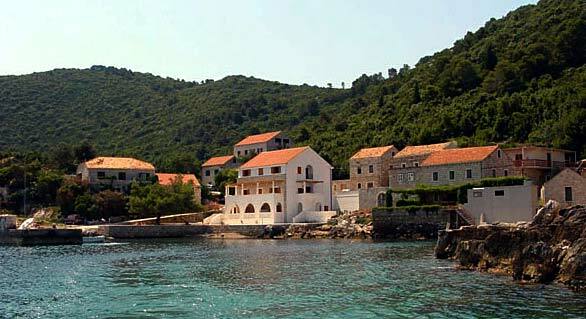 Small bay and settlement featuring little harbour on the Northern shores of Mljet Island facing Peljesac peninsula and located just outside of the National Park, Kozarica is a lovely and peaceful place for relaxing holiday. Several apartments and rooms are offered here as well as popular camping place in camping ground Lovor. Just on the outskirts of the village, there is an unusual small field and lake Slatina (Blatina) worth visiting if you are into nature and vistas.